They’re out to get Scott Pruitt. In recent weeks, Pruitt, the former state attorney general of Oklahoma who is now administrator of the Environmental Protection Agency, has been ripped for taking first-class flights, using a clean water law to grant pay raises to employees, and renting a condo from the wife of an energy lobbyist. That he was told to fly first class by the Secret Service, that the lobbyist whose wife rented him the condo had no business before the EPA or that Pruitt moved to increase the salaries to make them commensurate with the salaries of those with similar duties at other agencies seemed not to matter. And they don’t. Because the mainstream media does not care where Pruitt slept for a few months last year. It doesn’t care how he flies and understands on some level why it makes sense for him to fly first class. The media’s problem with Pruitt is that he has done a thorough job at implementing Trump’s agenda so far. 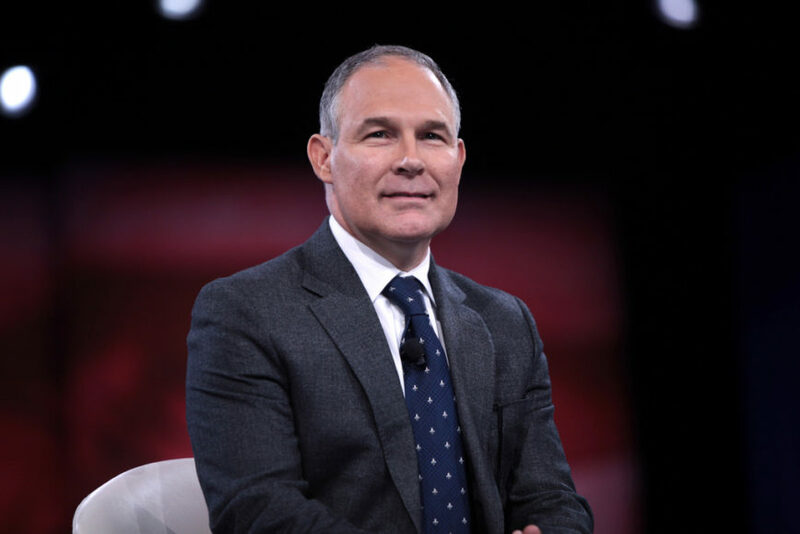 “For much of the past year,” Slate wrote in what it billed as “an incomplete list of Pruitt’s scandals,” “Pruitt has been Trump’s trusted partner in realizing the president’s campaign promise to reduce the EPA to ‘little tidbits. And Pruitt continues to carry out that vision in the face of his controversies, reversing an Obama-era environmental regulation that doubled mileage standards for cars and floating a plan to bar the use of air pollution studies to justify EPA regulation. Again, not noted is that automakers had said they could not reach the mileage goals without making cars less safe and as much as $7,500 more expensive, studies on which costly air quality regulations are based ought to be publicly reviewable or that the case that global warming is an urgent problem demanding expensive unilateral policy concessions by the United States has fallen apart. The Slate piece makes the point these are but a few of the “scandals” Pruitt is involved in. Among the others, he is accused of hiring friends and people with industry knowledge – a contrast to the extensive use of friendly academics and, yes, friends hired by the two Obama-era administrators – Lisa Jackson and Gina McCarthy. He also is accused of traveling with a security detail – which should not be surprising considering the left’s reactions to many of his policies. Trump, Slate wrote, should have been able to tell “Pruitt would be an ethical nightmare” from the start. The media is attempting to build momentum to fire Pruitt, but President Trump appears willing to dig in his heels.